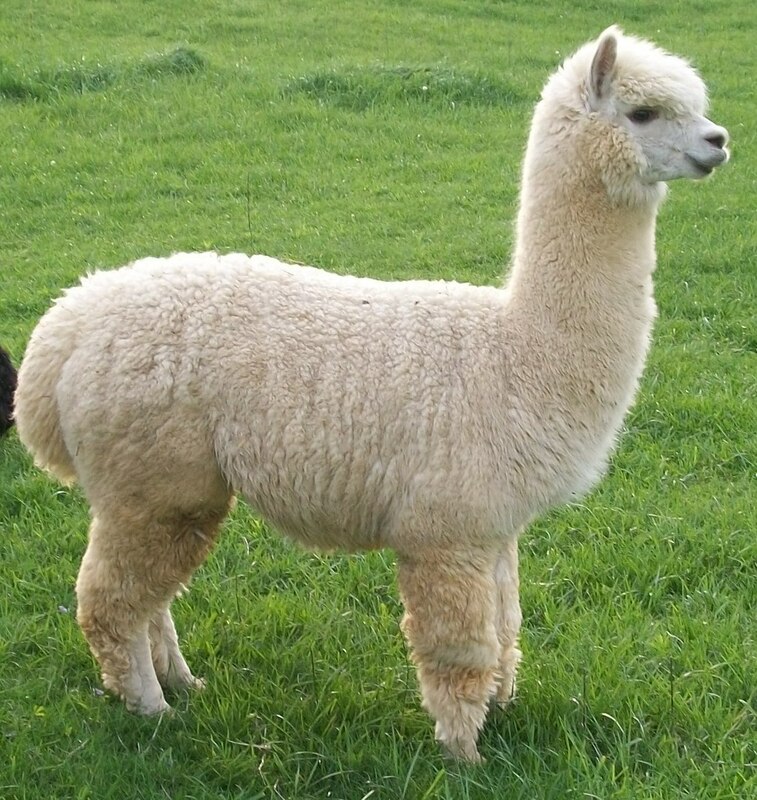 Alpaca are woolly mammals related to camels and llamas. These herding animals live in the Peruvian Andes Mountains of western South America in grasslands and scrub at altitudes from 12,800 to 15,000 feet . Alpacas are semi-domesticated mammals that are smaller than llamas. The alpaca may be a cross between the llama and the vicuña, or the descendant of the wild guanaco. Young alpaca are called crias. Alpacas have a life span of about 15 – 20+ years. Some alpacas make a humming sound; whining, grumbling, clucking, and other assorted sounds are used by alpacas to communicate. Spitting is used by alpacas, probably as a sign of dominance, fear, or a warning to intruders. The alpaca has a relatively small head, a cleft (split) upper lip, a long neck, and large, pointed ears. The tail is short. Alpacas have long, thick, very soft hair that ranges in color from white to gray to brown to black. Alpaca have two-toed feet with toenails on the top and with pads on the bottom; they do not have hooves. The average adult alpaca weighs about 120-140 pounds and is 3-3.5 feet tall at the shoulders.